KATHMANDU, Dec. 4: Mountaineering was the subject and task for Men’s only, the first ascend to the highest peak was made by two masculine members of the society. Women were always kept on bay but it was broke by a Japanese mountaineer Junko Tabei on 1975 as first women to stand on the highest mountain. With the gradual changes in the period of time the number of womens vying to reach atop the mountains has been increasing, the official record of Nepali mountains has shown. As per the record at the Department of Tourism of Nepal a total of 323 women expeditors have successfully scaled the height of various mountains in Nepal till now. The highest peak, Mt. Everest solely saw 260 successful expedition by women’s in last decade between 2006 and 2016. This shows growing fascination of women mountaineers toward Mt Everest. 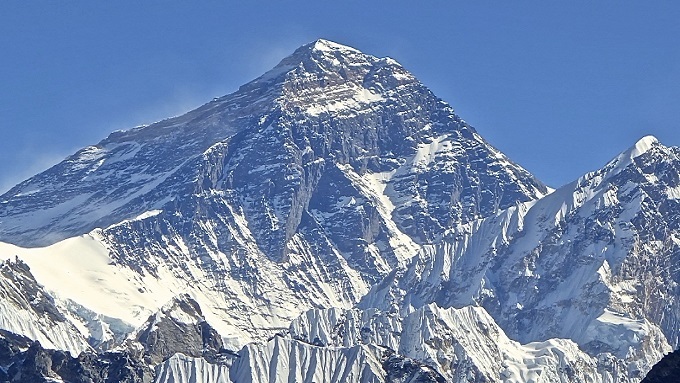 In nearly three decades before 2006, only 63 women reached the summit of Mt Everest. In 2013, Everest saw the highest Everest ascents by women summiteers (55). Though the avalanche of 2014 and the earthquakes of 2015 put a brake on Everest summits, the number of women Everest summiteers climbed to 44 in 2016 when Everest expedition resumed after a two-year break. Twenty-three Nepali women have reached the summit of Mt Everest (from the Nepali side) till 2016, including 10 in 2008 alone. Seven of them were from the Seven Summits Women Team. The figure shows that the involvement of Nepali women in adventure activities is increasing. However, Maya Sherpa, second vice president of Nepal Mountaineering Association (NMA), said only a few Nepali women, have embraced mountaineering as a profession. “The increasing number of women mountaineers is good. But only a few of them have take mountaineering as a profession. Many go there just to fulfill their aim,” she added. She also said that only a handful of Nepali woman is working as professional mountaineer. “Mountaineering is full of risks. Many women are taking this risk for instant fame,” she said, expressing hope that more Nepali women will make mountaineering their career in the coming days. There are three female mountain guides in Nepal, while few more are undergoing training, according to Sherpa. Dawa Yangzum Sherpa, a female mountain guide, said that is very difficult for Nepali women to work professionally in a sector like mountaineering which is dominated by men. “The number of women mountaineer is increasing. But only a few of them have made mountaineering their profession,” Dawa said, adding: “I have seen many women climbing Everest just to fulfill their interest and use it as a tool to migrate to foreign countries.” She, however, said she was happy with the increased involvement of Nepali women in adventure tourism activities like trekking and mountaineering. According to Nepal Mountaineering Association (NMA), 91 Nepali women took basic and advanced mountaineering training till 2008. The number is estimated to have doubled in recent years as NMA has allocated six training quotas for women in its basic mountaineering training. Similarly, around 200 Nepali women have taken trekking guide training from Nepal Academy of Tourism and Hotel Management. Meanwhile, a team of five women journalists has unveiled plan to climb Mt Everest next spring. They are currently in the mountains preparing themselves for the summit.